Nazareth Care Australasia was established in 2010. The region comprises two governance structures – the Nazareth Care Australia Board, and the Trustees of the Nazareth Care Charitable Trust in New Zealand. However our Board members work as a single Board as a way of enhancing the governance of all Nazareth Care services across Australia and New Zealand. The Nazareth Care Australasia Board is determined by our Constitutional documents. The Board comprises a majority of Sisters of Nazareth, along with Lay Members who have been appointed for their expertise, experience and skills. Sister Margaret is a Religious Sister of the Congregation of the Sisters of Nazareth and was appointed Regional Superior and Chair of the Board on 7th October 2016. Previously, Sister Margaret was Sister Superior and Director of Mission for Nazareth House Camberwell. Qualified with a Diploma in Education, Sister Margaret was on staff at Larmenier School in Tasmania and Our Lady of Mount Carmel School in Perth, WA. Sister Margaret has held many roles in education, as a professional teacher, religious education co-ordinator and school principal. Her responsibilities have also included membership on the Catholic Education panel for the employment of school principals and the Block Grant Authority managing grants for capital works. Sister Margaret has also studied in Rome, Italy, undertaking a course in Formation which led to the role of Formation Director for ten years. 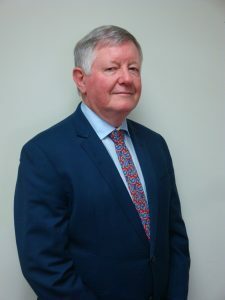 Garry is a Christchurch based businessman who has a wealth of experience in the motor vehicle and property industries spanning 40 years across both sides of the Tasman. He has owned a number of franchise dealerships including Toyota and Mitsubishi, which led him into providing specialist vehicle leasing and fleet management services to corporate and government agencies. Schooled through the Catholic education system in Canterbury by the Mercy Sisters and Marist Priests, Garry now dedicates his spare time to charity and community work. He has been a member of the Board of St John of God for the past 11 years, and has also held the position of Chair. Marion Cowden is a fellow of the Institute of Chartered Accountants of New Zealand and holds a B.Sc and B.Com from Auckland University and an MBA (with Distinction) from Massey University. She has held senior roles in finance and corporate services in the New Zealand and Australian public services and with the Commonwealth Secretariat based in London. 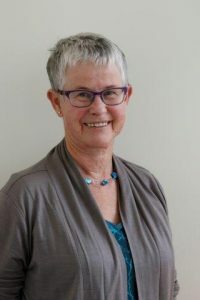 Her current governance roles include Deputy Chair and Chair of the Risk and Audit Committee of the Institute of Environmental Science and Research Ltd, Member of the Real Estate Agents Authority, and Board member, St John of God Hauora Trust. Previous roles include Chair of the Independent Oversight Advisory Committee at the World Health Organisation, Deputy Chair Energy Efficiency and Conservation Authority and Director, Co-operative Bank. In addition, Marion provides governance support to a small number of not-for profit organisations within the community. 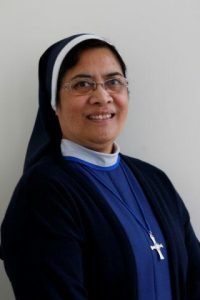 Sister Ana is Sister Superior and Director of Mission for Nazareth House Christchurch. Sister Ana holds a Diploma in Health Science in Nursing from the University of Tasmania (graduated in 1992). She has been an accredited member of the Australian Traditional Medicine Society since 2002 following successful completion of Training Programme in Professional Aromatherapy. This qualification enables her to formulate programmes to assist with Behaviour Management in Dementia Specific Units. In 2005 Sister Ana was awarded Certificate IV in Community Services Lifestyle & Leisure – Mayfield Education Centre Melbourne, Victoria. In 2006 she graduated with a Diploma in Community Services Lifestyle and Leisure, from Mayfield Education Centre. In 2012 she was awarded a Certificate IV in Volunteer Program Coordination. 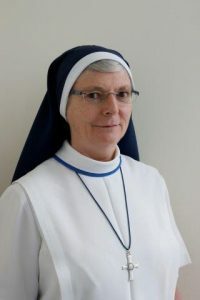 Sister Sesilia is a Religious Sister of the Congregation of the Sisters of Nazareth and is currently Sister Superior and Director of Mission for Nazareth House Geraldton. 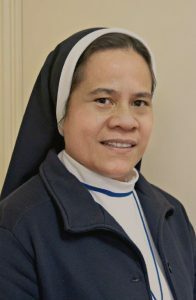 For a number of years, Sister Sesilia served as a Hostel Supervisor at some of Nazareth Care’s Residential Aged Care Homes throughout Australia. Sister Sesilia holds a Diploma in Montessori Method of Education from Montessori World Educational Institute, Atascadero, CA, USA, and a Diploma in Child Care Management from International College, Pennsylvania, USA. Sister was a Director of Nazareth House Child Care Program for ten years, and a vocation promoter for the Pacific Region for 4 years. Sister Sesilia has also studied at Catholic Theological Union Chicago USA, undergoing a course on Human Sexuality and Behavioural Assessment, in Rome, Italy undergoing a Certificate course in Formation, and in Brisbane, QLD undergoing a Certificate course in Psychiatric Pastoral Care. Sister Sesilia has experience in Pastoral Care and Palliative Care. 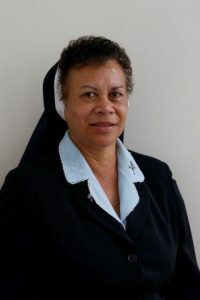 Sister Elisapeta is a Religious Sister of the Congregation of the Sisters of Nazareth and Sister Superior and Director of Mission for Nazareth House Ballarat, and has a Bachelor of Nursing and over 16 years’ experience in aged care. Sister Elisapeta has held various positions in management and leadership throughout the organisation and has completed a Formation Course (for Formators) in Rome, Italy. Sister Helen has worked in the area of Formation, both in South Africa and Australia for the past 8 years and is currently working with the postulants in Camberwell. Previously, Sister Helen spent a number of years in South Africa, Australia and New Zealand, working in aged and child care. During her time in South Africa, Sister Helen cared for those with HIV and AIDS, babies, children and young adults in hospice care plus a crèche in the township in Khayelitsha. Sister Helen spent 10 years at Ballarat House as Director of Nursing and has worked as Hostel Supervisor in Tamworth, Ballarat and Geraldton. 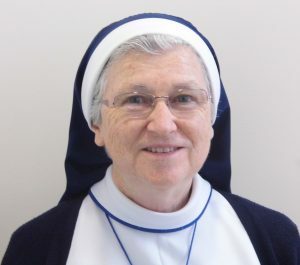 Sister Helen holds a Certificate in Child Care in Victoria, a Hospital Based Diploma from the Western Australian School of Nursing, a Graduate Diploma in Administration from Australian Catholic University and also completed a three year training course for Formators in 2014. In 2007 and 2008, Sister Helen received a Certificate of Participation in Counter Trafficking Training Programme for Religious Personnel, both in Johannesburg and Cape Town which was sponsored by the United States Embassy to the Holy See.